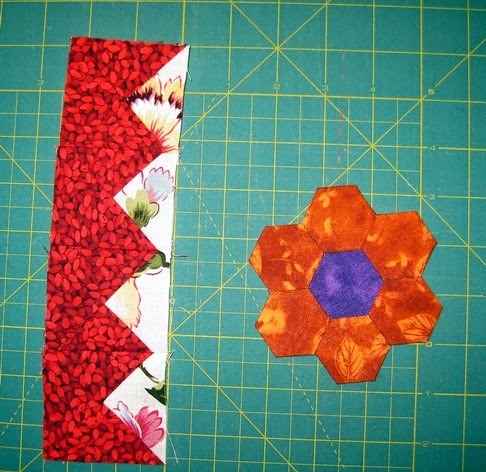 Hey, I have been working on that hexie flower quilt all last year so that makes it a WIP - hehe. So that's WIP #3. Here's the latest flower on the right. Made it during the four hours I spent at the doctor's doing some of those annual things they always want us to do. And I figured out a border for WIP #1. I have to make 72 of those little sections - it will take me a while. 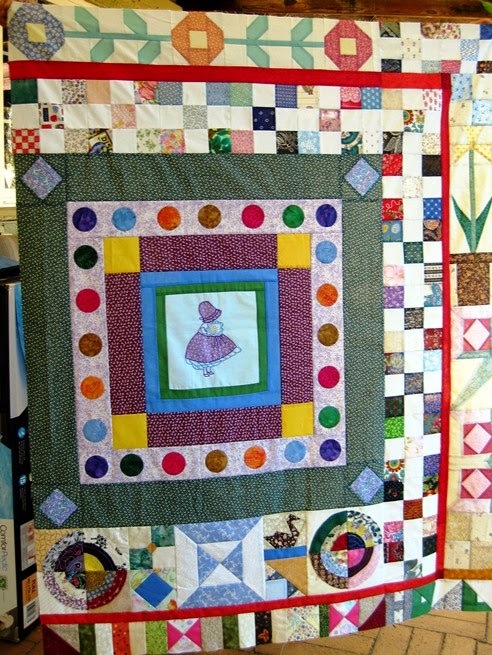 WIP #2 is one I also started in 2014 - My Happy Scrappy Orphan Block Quilt by Rosemary Young. She made two gorgeous ones! I need to vary what I work on so that's why I pulled this out, plus it's mostly using orphan blocks and making a left side to this top. So I hope to be done very soon. Rosemary's is a lot bigger - I don't want mine so big. Also I'm running out of blocks and I wanted to get rid of blocks, not make more. How are you doing on your WIP? Would love to see - doesn't have to be a finish - even a little progress is great. Linky below - remember it doesn't have to be a new post, just one that shows your WIP. Ends Monday, midnight. I finished a flower so I'm linking to Amanda's Finish it Friday and Sarah's Can I get a Whoop, Whoop? Lots of eye candy there. I have nothing to show for my hexies right now but I do have hundreds of mini tumblers on my wall right now. Oh I feel you! 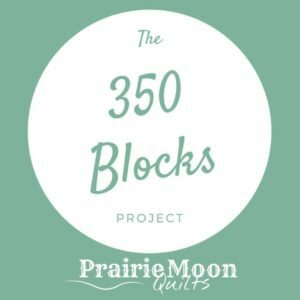 Trying to finish projects with orphan blocks. The only problem is that I keep on making blocks. Something is going wrong here, ha ha ! Oh, you have a couple of lovely WIPs. I had to go back and look at #1 which I really love. Good luck on some finishes. I'm trying to finish up a bunch of UFOs this year myself. I left my hexies behind this trip. I love your Orphan Quilt. I think that would be a great challenge for myself this summer! I'll bet I could dig out enough orphan blocks to make at least a twin! Have a wonderful day! I have lots of orphan blocks but they just don’t seem to go together. Yours look great. Hexies don't usually appeal to me, but this flower is wonderful! Your use of a batiks instead of solids or prints makess it so much more vibrant. Both very wonderful colorful projects. So glad you switched to this linky. I managed to get sick on my own birthday, am finally catching up with blogs and I once again missed your linky party. I certainly could use a few extra hours in the day!! 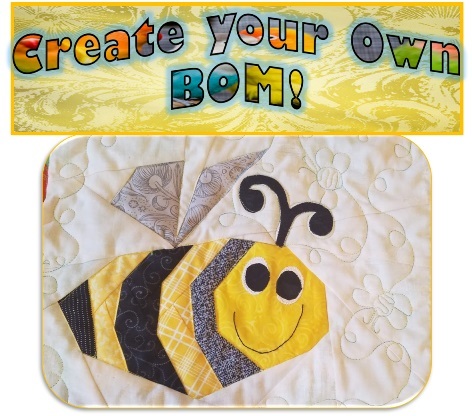 Like you, I like to alternate my projects, both pieced and EPP. Love the pieced border you picked for WIP#1. It might take you a while but I think it will be well worth it!